Water Genie Window Cleaning Trolley For Water Fed Pole. 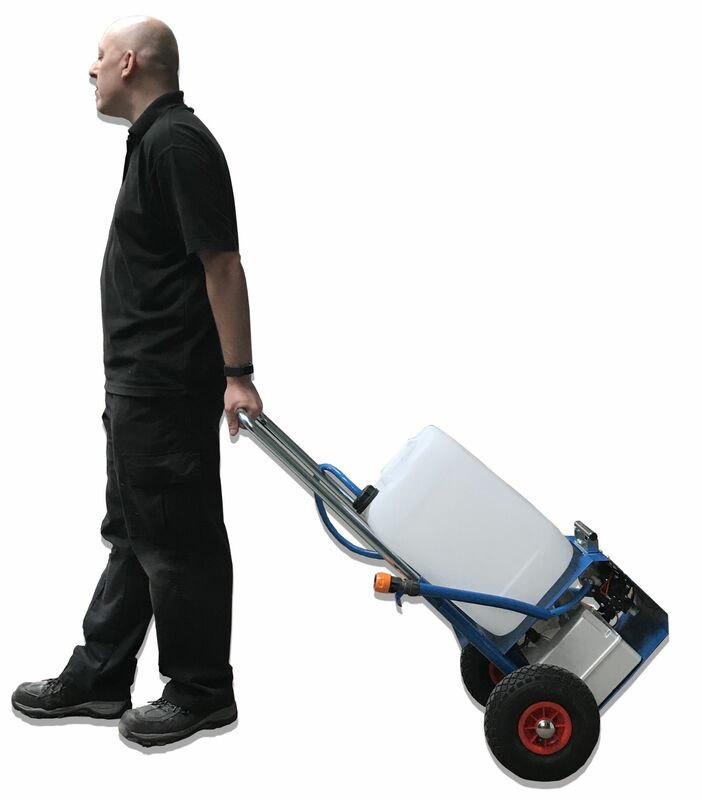 Product code: Water Genie Window Cleaning Trolley For Water Fed Pole. 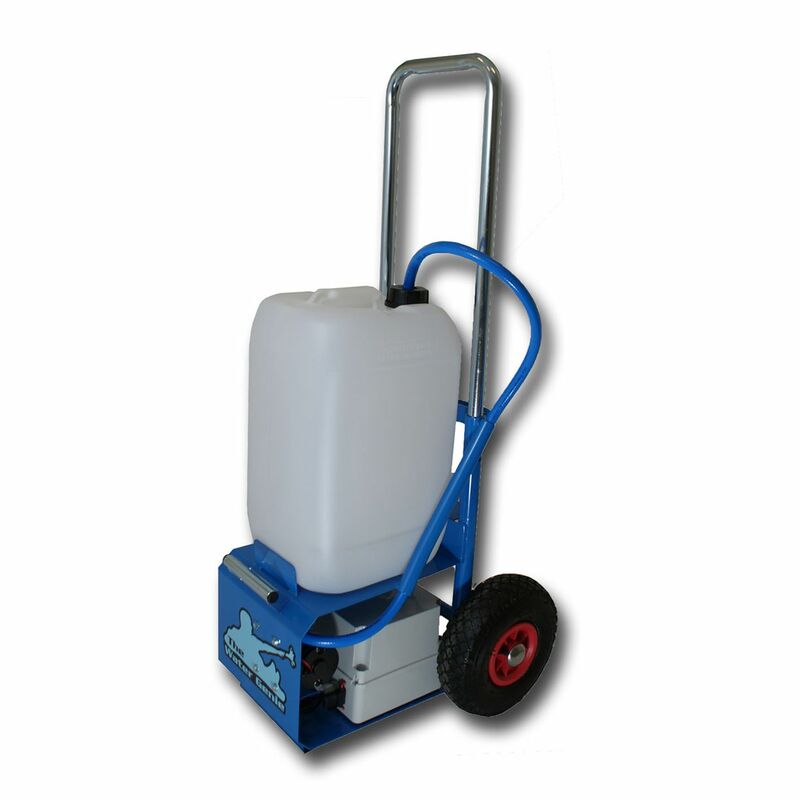 The Water Genie Trolley is our number 1 selling Water Fed Pole trolley. 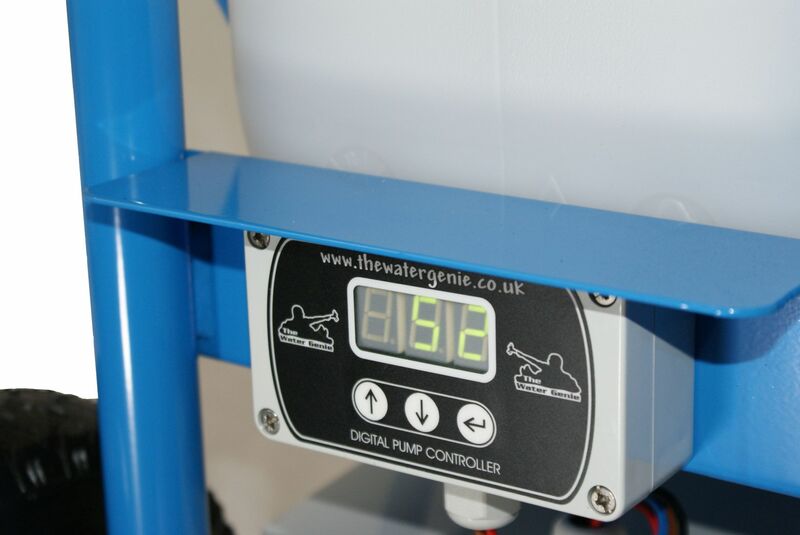 It comes complete with battery, pump controller and much more! 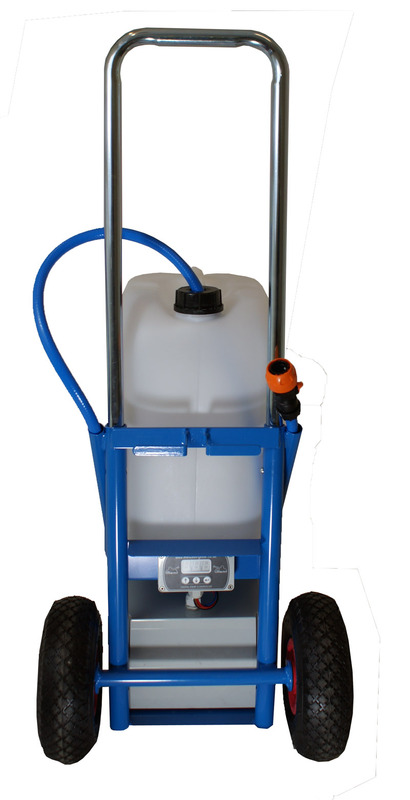 The Cleaning Warehouse has release its much anticipated 2nd generation of Water fed pole trolley. With the success of the orginal version The Cleaning Warehouse have made it's new model even better. With intense market research and user input this trolley has all the pro's and none of the con's. This is an easy 'plug in and go' system. Code Water Genie Window Cleaning Trolley For Water Fed Pole.